Choosing for the right bathroom fixture is important, for bathroom can be the best part of the house. Here is the place wherein you can think freely and feel the beauty of life you are experiencing. 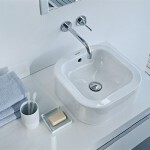 Washplanes can be new bathroom furniture to others, while others can already be familiar with it. This great collection of Omvivo is made of stone and has a sleek design with clean and sharp lines in it. 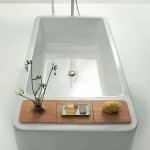 Give yourself an elegant washing ritual and own one of the Omvivo washplane collections now. Available in various colors and designs that will best suit your personality, the Omvivo washplane is perfect for everyone.